Tell Facebook to f#@% off. Somewhere between the advent of Facebook and launching Twitter to the masses, the Internet betrayed us. It allowed pages to be viewed by job interviewers, newsfeeds to be flooded by Aunt Julie, and for constant tweets about what color socks that random girl from the study group is going to wear today. 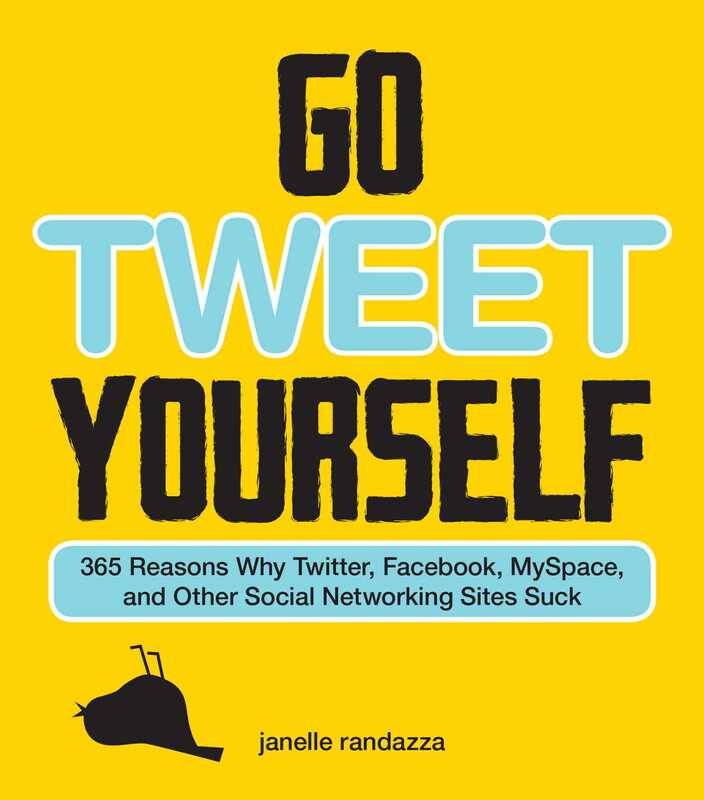 This book is the hilarious reply all that says: enough is enough. We don’t want to see the pictures from your business trip to Omaha. We don’t want a page-by-page account of what’s going on in Twilight. We definitely don’t want a virtual drink! When you can’t fix the problem, fix the blame. And since there’s no way in 2.0-hell that you can put an end to the bastardization of the Book, you may as well have a good laugh while pointing the finger at those who ruined their online experience.